I had a hard time holding myself together that first trip to the jail. I watched client after client, those who had previously experienced all but hell itself, many of whom were fighting addiction, mental health disabilities and poverty, pleading for freedom on a charge from which a state court had already absolved them. Witnessing their plight never got easier, but my clients made it easy to spend every minute of my co-op fighting for their freedom. Every hour I dedicated to preparing for a parole revocation hearing became a religious, cleansing experience. 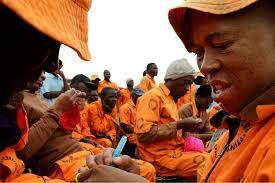 It became an opportunity to force the system to uphold its constitutional obligations. I spent eleven weeks learning from men and women who bear the burdens of the United States’ darkest human rights violation, the criminal justice system. Daily, attorneys at the Public Defender Services, District of Columbia, fight for their clients, tooth and nail, clutching what little is left of due process. Parole is currently one of the least protected criminal procedures. The court in Morrissey v. Brewer established that revoking parole is “not a part of the criminal prosecution” and thus the usual procedural protections are not extended to what many consider a “privilege”. When working in the parole system, the rule of law is tertiary to the mercy of the whimsical and arbitrary practices of the United States Parole Commission: its methods an accessory to the inexorable death of due process. Clients could spend an exorbitant amount of time incarcerated waiting for a parole revocation hearing, there is often no opportunity for judicial review, the rules of evidence do not apply, there is no right to counsel. 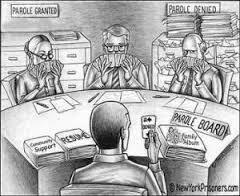 Under the federal parole system, revocation hearings are held for clients that are arrested for violating provisions of their parole. A parolee can be arrested for anything from a serious violation of the law, to merely testing positive in a urine test for alcohol or marijuana. Double jeopardy does not apply. For example, if a client on parole is arrested in Maryland for attempted distribution of cocaine, and the case is dismissed in the District Court of Maryland, the parolee can still be “tried” for that same charge during his parole revocation hearing under a lower standard of proof (preponderance of evidence). Once the parolee is transferred to the federal system jail, he could sit there for months waiting for his hearing, which could result in release or a sentence to additional time in jail. The examiner is a “neutral” party that simultaneously represents the judge, the jury, and the prosecutor, and ultimately recommends the length of the client’s sentence. The examiner’s recommendation is then sent to the U.S. Parole Commission, where commissioners arbitrarily approve or modify a sentence with little or no justification. The Parole Commission’s decisions are appealable, however the same commissioner who issued the final decision sits on the body reviewing the appeal. The examiners are not judges, and the majority have never practiced law or attended law school. As such, in such hearings I was challenged to craft a legal argument to present to an individual that lacked formal legal training and often lacked the motivation to consider the relevant law. The client’s fortunes depended entirely on the moods and personal whims of the examiner and it was my job to carefully navigate those rapidly shifting waters. How is one to prepare a client when the rules of evidence do not apply and a client can be penalized for refusing to answer incriminating questions? How to explain to a client that they must wait behind bars for months while waiting for a hearing on a charge that was previously dismissed in court? And then comes the wait to receive notification from the Parole Commission confirming or modifying the examiner’s recommendation, which could take weeks. As I made my way through this frustrating and disheartening process, I had the opportunity to serve the most phenomenal clients I have ever met, and to work under the supervision of an attorney who inspired me in every way. For this privilege, I feel extremely thankful. Tara Dunn is a third-year law student at Northeastern University School of Law. 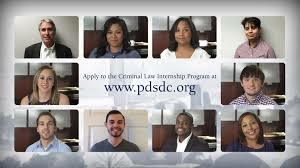 This entry was posted in Uncategorized and tagged Criminal Defense, D.C., Law School, Northeastern University, Northeastern University School of Law, Parole, Public Defenders, U.S. Parole Commission, Washington. Bookmark the permalink. Reblogged this on NUSL BLOGS.